Under Phase 2 of the SHARE program, Perspecta Labs will be advancing its VeriNet, Verifiably Secure NDN (Named Data Networking)-based Coalition Networks, technology which enables secure information sharing between the U.S. and its coalition partners. 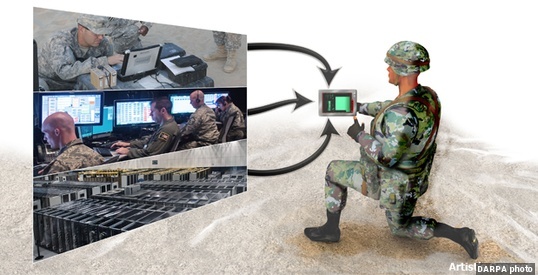 VeriNet allows for the dissemination of information securely and at multiple levels of security and features rapid deployment capabilities, easy implementation of customized requirements for information sharing and an intuitive user interface at the tactical edge using commercial handheld devices. Perspecta Labs' VeriNet solution leverages secure tactical edge networking technologies based on NDN, a technique that provides data-oriented security and high resilience to loss which is critical in challenging tactical environments. Additionally, VeriNet's configuration management tool automatically maps high-level security requirements into detailed platform-specific rule sets with guaranteed correctness and consistency.